Newly Installed Commercial Flat EPDM RoofFor the past 50 years, EPDM roofing membranes have been among the most frequently used roofing materials on the market. EPDM is a highly mature product that has been tried, tested, and proven by time. It continues to be specified by engineers, architects, and consultants as one of the leading options for an energy-efficient high-performance commercial roofing system. EPDM membrane’s proven performance shows EPDM to stand up against even the toughest weather conditions as a reliable and versatile choice for many different types of commercial and industrial roof applications. EPDM membranes have built-in UV protection and also thermal shock durability. The EPDM membrane material offers ozone resistance, making it an excellent choice for urban/high vehicle traffic environments which are naturally prone to ozone pollution and exposure. EPDM roofs remain flexible in sub-zero temperatures eliminating the risks of cracking and tearing from cold-induced brittleness. EPDM roofs resist deterioration and provide many decades of service life, but when it is time for replacement, the membrane can be fully recycled to provide as low of an environmental impact as possible. EPDM is a synthetic rubber elastomer, manufactured for its flexibility and superior strength. It is also lauded for being an environmentally sound roofing choice. EPDM membranes provide an impervious roof surface which doesn’t pollute or contaminate rainwater runoff. EPDM is also fire resistant, recyclable, and economical, qualifying commercial and industrial building owners who have installed it for LEED points. It also meets ASTM standards for new membranes. 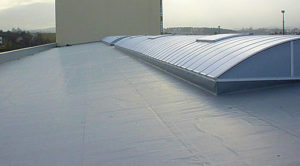 EPDM roof membranes are uniquely suited to perform well in all types of environments. This material is a standout performer especially in locations with wide seasonal temperature fluctuations. EPDM is known for its ability to resist ozone deterioration. It has one of the highest tensile strengths of any membrane in the industry, and it is extremely repairable, and restorable during its service life. It also has the added benefit of being aesthetically pleasing. EPDM membranes are available in a variety of thicknesses and provide a smooth and appealing end finish. With a little bit of regularly scheduled maintenance, a high-quality, professionally installed EPDM roof from Christian Brothers Roofing can last up to 40 years. EPDM Roof Membranes have a few installation options available. It can be fully adhered, mechanically fastened, or ballasted to commercial/industrial roof decks. It is suitable for use in new roof construction projects as well as in reroofing projects. They can even serve as an alternative to cool roof systems when ballasted; the ballasting provides more membrane protection while reducing thermal mass. EPDM membranes are one of the most easily repaired and restored roofing materials on the market today. Repairability is a tremendous material advantage as it is not an attribute shared by all membrane roofing systems. It gives property owners the peace of mind to know that their roofing investment today will not restrict or come at the expense of business growth and changes that may occur tomorrow. EPDM systems can be repaired and modified easily. Even after many years of service and exposure to the elements modifications like installing a new roof curb into an existing EPDM roof can be accomplished easily, while still maintaining the expectation of longevity and trouble free performance. EPDM’s unique ability to be easily repaired or modified are possible because of the EPDM material’s inherent ability to maintain much of its original mechanical flexibility and integrity even while in use. Other commercial roofing systems undergo chemical and mechanical changes that cause them to become increasingly stiff or brittle over time from ultraviolet exposure which make them less adept to repairs and modifications. EPDM, on the other hand, can be modified or repaired as easily as cleaning the old material, preparing the deck surface, and applying and bonding the repair material, including coatings. Another unique ability that EPDM possesses is the ability to undergo restoration. In some situations, old or damaged EPDM roof systems can undergo a restorative repair process to bring them back to their original installation quality at a significantly lower cost and inconvenience than a full roof replacement. In some cases, when the Christian Brothers Commercial Roof Repair and restoration process are completed and enhancements are incorporated, the aged EPDM roof system might even exceed the condition of the original installation. EPDM roofing is a thumbs up to the environment. It is one of the most sustainable and environmentally responsible material choices available today in commercial roofing. It has a proven track record in overall performance which drives life cycle costs lower than competing products. It’s longevity results in a reduction of material demand over time which in turn reduces the overall impact on the environment both from the production and disposal side. It is even manufactured efficiently, possessing a low-embodied energy number (the amount of energy required to produce and implement a product from material extraction, manufacturing, and installation). EPDM is an excellent commercial roofing choice, no matter what your motivations are. Christian Brothers Roofing has tremendous experience installing EPDM Commercial Roofing Membranes. There is no other roofing company in Kansas City that works harder to earn and maintain a reputation as one of the industries most trusted and respected commercial and industrial roofing companies in the Kansas City metro area than we do. 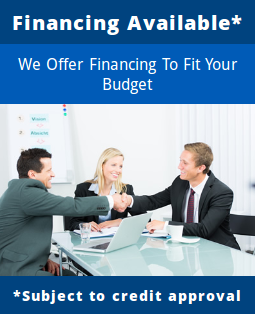 We earn this reputation through our exceptional product knowledge, ongoing training, consistently excellent workmanship, and customer service focus. If EPDM is the right fit for your commercial property or business and you would like to receive an estimate for an EPDM Roofing system, please call us (816) 453-7663 “ROOF” (913) 800-7663 “ROOF” or email us today and we will be in touch to schedule your roof estimate.